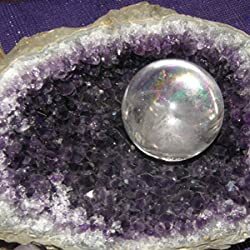 Ah, crystal magick. The eagle and the crow gather shiny sparklies for their nests, but why are humans drawn to those mysterious minerals we call crystals? As a stone-cutter for more than a decade, I've asked myself that question many times. I've had some magickal experiences, and I'd like to share them with you. Please enter your email address and click the Follow button to follow Amethyst Qu!